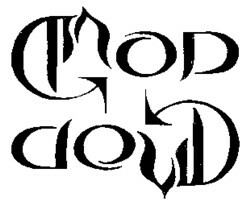 I just discovered that there is a beautiful site dedicated to ambigrams: nagfa.blogspot.com. It is run by a man from Singapore, Nagfa, who makes amazing ambigrams himself. Since a few months he organises a monthly competition, where people can send in ambigrams of their own makings of a word chosen for the occasion. 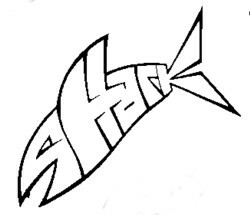 The word for May was Sharkattack . I was to late for the competition, but I I was so inspired by the ambigrams that people had send in, that I made one anyway. It is a so called oscilation, which means that you can read two words in it without turning the word upside down. This month the word is not a word but a theme: Famous couples . I choose God & the Devil. Here is a fragment from the beautiful audio version of Conversations with God , written by Neale Donald Walsh. I collect songs about God and the Devil. Songs about God are easy to find but rarely interesting. 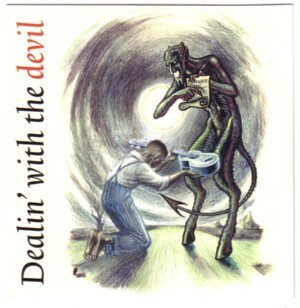 As it should be the situation with songs about the Devil is the other way around: hard to find, but always interesting. For today’s Soundtrack I choose a song by Eugene Fox, Sinner’s dream . The problem with this recording is that I only have it on a CD where somebody used an MP3. When I make an MP3 of this recording again the soundquality gets pretty poor. 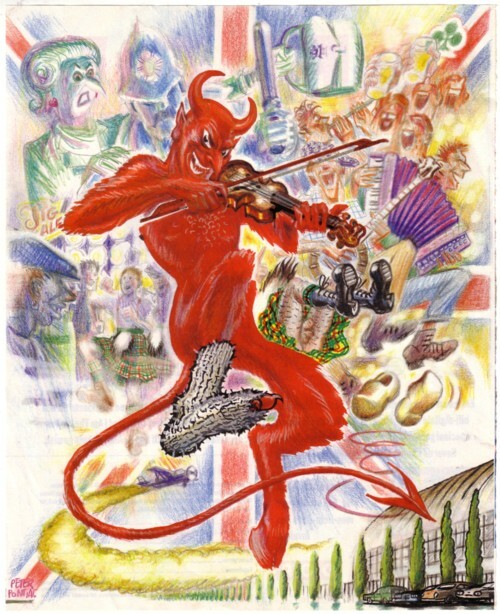 But you have to do with it anyway, because it is my favourite Devil-song. I would also like to know the title of the song where the devil and god play card s for the souls on earth… awesome song… pls HELP!?! I heard a song a long time ago about god vs. the devil, and I believe the context was a boxing match. Any clues? may i ask you for those songs about god and/or devil you got? it would be realy nice and i would be really gratefull if you could upload somewhere on the internet all song you got about devil and/or god and could send me a link. Thanks for the tip, Keith. It is a great site indeed! phantom 105.2 irish radio station , I think Its an irish band. I also want to know the name of the band and song.